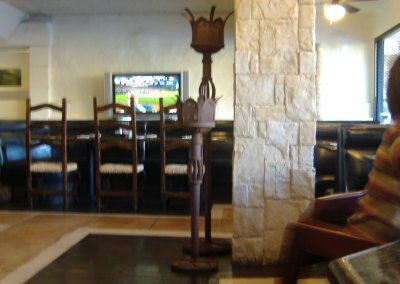 Please be aware that this is not the only restaurant review at this blog. It's just the main one Google likes to send people to and for some odd reason it's hard to get people to realize that this site actually has more than one restaurant review. 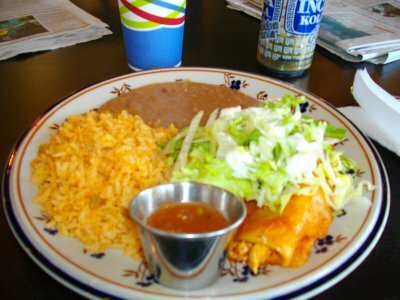 So... CLICK HERE to be taken to our list of over 200 Mexican restaurants reviewed. 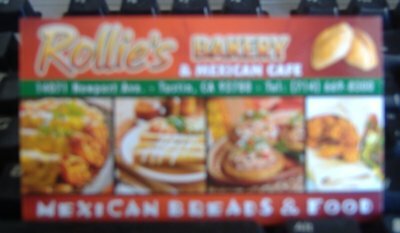 I'm finding myself in a backlog again with a lot of reviews to complete of all sorts of different places that have two things in common: they serve Mexican food and they are within the borders of Orange County, CA. This review'll be light on words because it's covering a place I've been to before. I just hadn't been to this location yet. Please be aware that this one entry is not the only entry at this blog. Google is good at getting people to this site but is not good at showing people how much information this blog really has. Scroll up a little bit and click on "Show Help Panel" and it will lead you to way more information than just this one review. 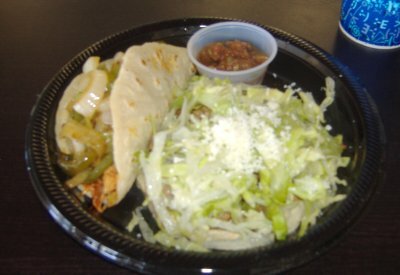 Or CLICK HERE to be taken to our list of over 200 Mexican restaurants reviewed so far. 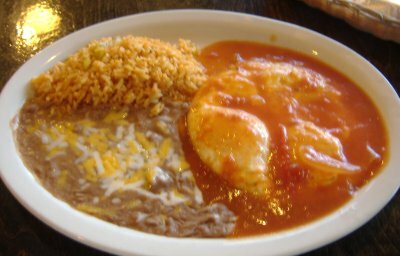 If you only read this one entry and mistakenly think it's all the information we have you will be missing out on tons of information about Mexican restaurants in Orange County. Why am I stating this so strongly? 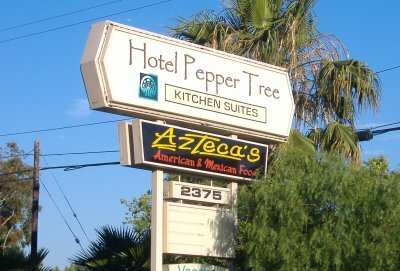 It's because there are over 200 reviews on this site but for some reason people tend to think that this particular entry (Azteca's - Review #5) is the only entry on the whole site. 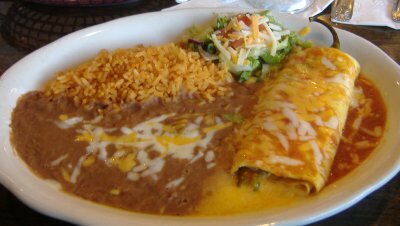 Longtime readers of the blog may know of Azteca's in Fountain Valley, the place I like to call "The mom and pop place by my mom and pop's place," the place I tend to stop at when I'm visiting the house I grew up at. 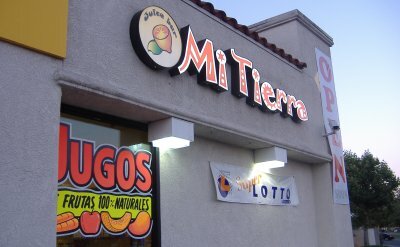 I've covered them a couple times and often mention them in my Roundup entries, and covered their Huntington Beach location once and knew that they had opened up a third location in Anaheim but never went to check it out until recently. Did you get here from Google? If so, please be aware that this one entry is not the only entry at this blog. Google is good at getting people to this site but is not good at showing people how much information this blog really has. Scroll up a little bit and click on "Show Help Panel" and it will lead you to way more information than just this one review. 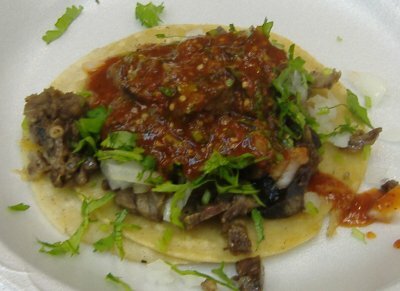 Or CLICK HERE to be taken to our list of over 200 Mexican restaurants reviewed so far. 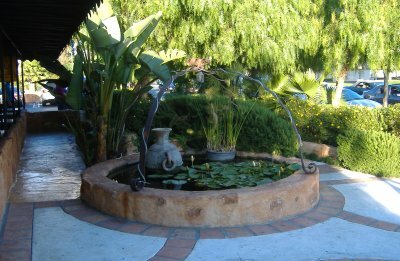 If you only read this one entry you will be missing out on tons of information about Mexican restaurants in Orange County. This visit was with James and Lori and Thomas. 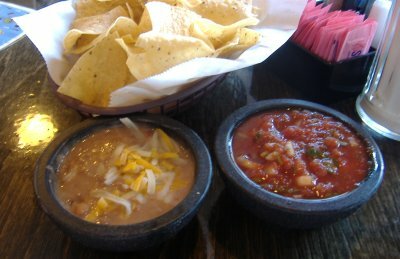 We were brought some chips and salsa as well as a little molcajete with some beans and cheese in it. The waitress said that was for the kid. Thomas, the three year old in all this, loves him some corn chips no matter how they come, be it plain, with salsa, or with beans and cheese. One thing different about the menu at this Azteca's location is that it has a large selection of American items. 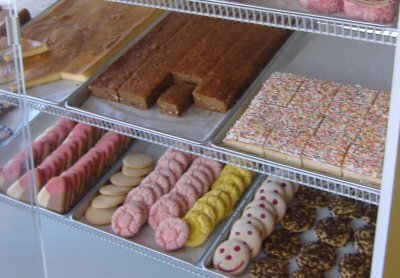 We were guessing that it might be because this location seems to have been built into an old coffeehouse and they wanted to keep some menu items around for longtime customers. All the American stuff did look good but we all got Mexican items for this visit. The ball of ice cream in the center was enough for me. 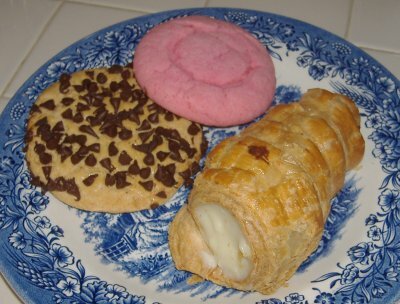 I only nibbled on the crispy triangle wedges and hardly touched the whipped cream. 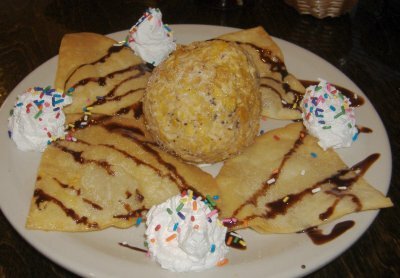 With the Corn Flake crust and the chocolate chip ice cream at the center I still rate Azteca's deep-fried ice cream very highly. Click here to see the whole photo album (12 photos) at . 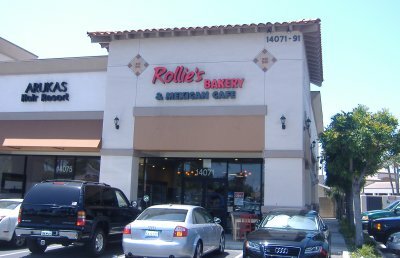 Here's our first guest review by Jack from Fontana, who, even though he currently lives in Fontana, still knows quite a bit about Mexican food in Orange County. 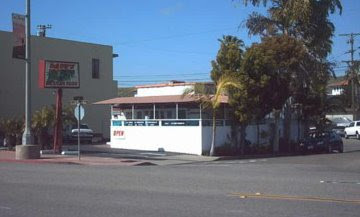 There is no other place like Dave's, and that goes for the building, the atmosphere and the food. They put their own delicious spin on Mexican food. This tiny, hole in the wall surfing-in-Mexico themed restaurant is tucked alongside N. El Camino Real (PCH) in San Clemente. Parking is limited and tight, but then again, so is the seating inside or on the patio. I've known the owner, Danny, since 7th grade, and he was smart enough to not change the food they serve when he took the place over from the lady preceding him (who just happened to be his mom). 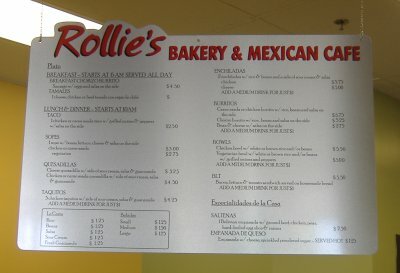 Everything they serve is excellent, but my favorites are the stuffed meat quesadillas, cheese enchiladas, chiles rellenos, and the black bean and chips appetizer. The tacos are also something to experience. They're so totally different from what you're used to. You have to try them to believe them. I could drink the enchilada sauce like beer if I was so inclined.... it's that good. Like everything else, not what you're used to. It's redolent of a mysterious spice melange and piquant with garlic. Moderate prices. Beer and wine served. Now Jack in the Box just has to bring back their Chicken Monster Tacos that were in the red corn shells. On Saturday, July 19th, Orange County-based surf lifestyle clothing company PacSun (Pacific Sunwear) will be putting on the "Pipeline to a Cure" event at the Hyatt Regency Huntington Beach hotel benefiting the Cystic Fibrosis Foundation and featuring a special acoustic performance by Social Distortion. Apparently surfing helps alleviate the affects of cystic fibrosis. Surfing, Social Distortion, Mexican food, and charity work: now there's a winning combo. But what does all this have to do with Mexican food? Well, the event is honoring Wing Lam, Mingo Lee, and Ed Lee of Wahoo's Fish Tacos. Hopefully there'll also be some Mexican food at the event. I looked into buying tickets online but kept getting an error message. Others might have better luck. important as what we put in." 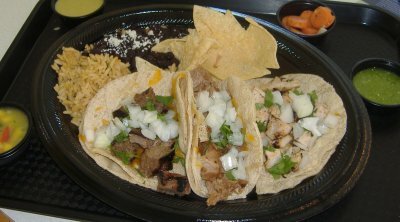 As announced at the Fast Food Maven blog the La Salsa fresh Mex chain is introducing new Mexican Street Tacos this week with your choice of chicken, carnitas, or steak as the meat. La Salsa has what is probably my favorite salsa bar of all the fresh Mex places, mostly because it has the most variety. And it has several choices which are good for people who are afraid to eat tomatoes now . . . even though I personally trust that all the bad tomatoes are off the market now. You can tell from the picture above that they are proud of their variety of salsas. 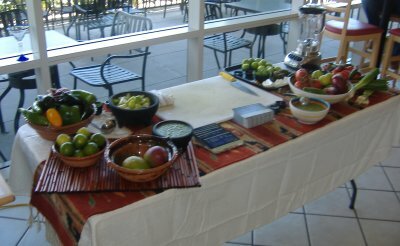 They are also putting on salsa making demonstrations today and Wednesday in two OC locations. I'm going to try to make it to the Irvine Center Drive one later today. So I went to the La Salsa and arrived right at about 11:30. They had the Mexico City Tacos available starting today so I ordered the platter, one taco with each kind of meat available. 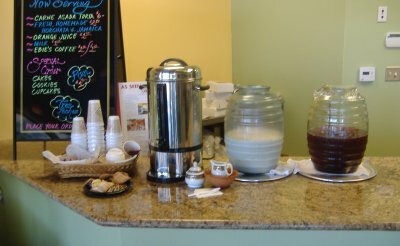 Then I went to the salsa bar and got helpings of several different kinds of salsa. After I got my salsas and was still waiting for my food and the salsa making demonstration a girl came up to me and said I looked familiar. I thought about it for a bit and realized she was somebody who I had worked on several websites with six or seven years ago. Turns out that now she does graphic design for La Salsa and had engineered their whole Mexico City Tacos campaign and did all the related graphics (everything below my tacos photo). She then introduced me to Jeff Clark, the Executive Chef for the La Salsa chain. After I finished my tacos Chef Jeff, "the savant of salsa," then put on a salsa making demonstration. 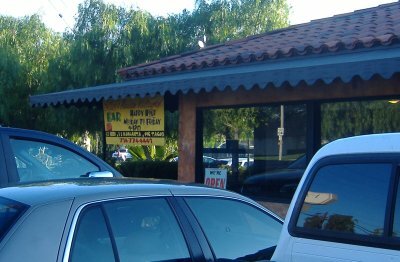 I shot video of it and may post it here later, but if you want to see a master at work in person then go on Wednesday, June 18th, to the La Salsa on Jeffrey Avenue in Irvine sometime between 11:30am and 2:00pm to watch his demonstration. Jeff and I talked about Mexican food from numerous angles. I told him about the off-the-wall salsas I've made and it didn't seem to throw him off. His response was a simple, "Oh yeah, I've made watermelon salsa before." We also talked about what makes Mexican food authentic . . . or inauthentic, as the case may be . . . and came to the conclusion that it's really hard to pin it down to a strict definition. And he knows his stuff, having researched food extensively in travels down to Mexico. 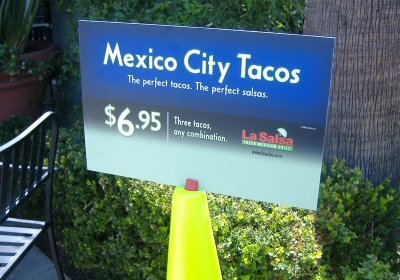 When you go yourself be sure to pick up one of the salsa chart cards because it'll have a coupon on it for a Mexico City Taco for 99¢ to use on a subsequent visit, and be sure to also pick up the separate card with Chef Jeff's salsa verde recipe on it. Also, remember to check out Nancy's related entry; I didn't realize La Salsa had been around so long until I read what she wrote. UPDATE: Appears to be closed now. 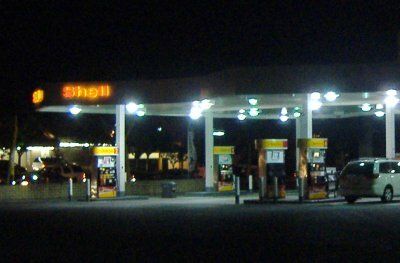 Now, here's a place that caught my eye: a gas station that has not one but two Mexican restaurants in it and one of those two restaurants appeared to be a spinoff of a restaurant down south. This odd spot is on the northwest corner of the intersection of Harbor Blvd. and Garden Grove Blvd. in the parking lot of a Shell station. 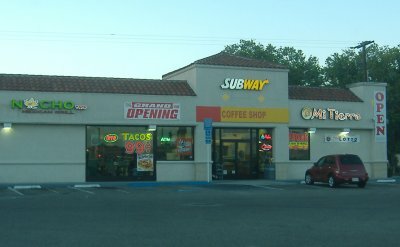 And, oh yeah, there's also a Subway in the same building. 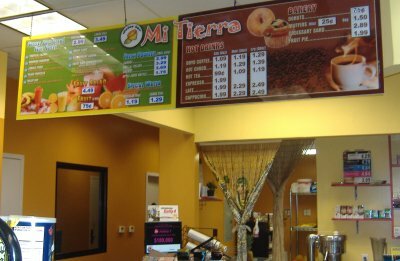 Once inside I went straight to the Mi Tierra side and ordered a berry smoothie. They just call it juice, but it's more like a smoothie, or more properly, a licuado. The workers acted like people don't normally order anything from the juice bar. That might be just because they are new. The large licuado came to $3.76. Their sign with the special for the day said they had menudo so I ordered that but they told me they were out of it. Menudo is not one of those things you can whip up in a couple minutes. Another meaning for huarache is "sandal" but I think the two meanings must be related because a huarache (in the food sense) is on a corn tortilla that's shaped just like the sole of a sandal. 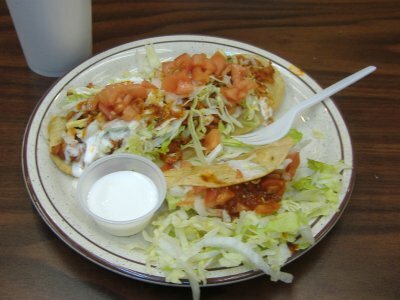 Then they're topped with your choice of meat, lettuce, sour cream and tomatoes. I'm still alive and in good health while writing this about five days after my visit so these tomatoes were not tainted with salmonella. The total for my food from Nacho Taco came to $4.60. Makes it worth it to stop by even if you aren't filling up on gas. Or if you would rather put your $4.60 towards food than towards a gallon of gas. It might make a great bike ride destination. 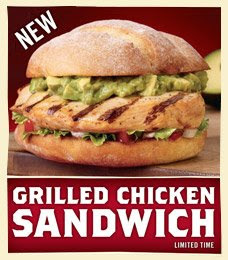 Starting today El Pollo Loco is introducing a new Grilled Chicken Sandwich. Not a terribly inspired name this sandwich is really a torta and I presume if you went to an El Pollo Loco and asked for the new torta all the workers would know what you were talking about . . . and they would probably be glad you used the name that should've been the official name. 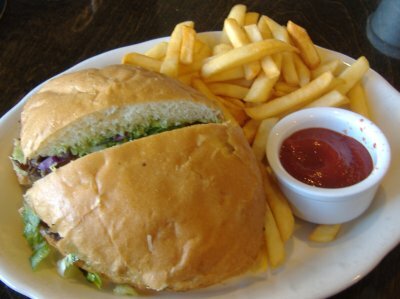 Read all about the Grilled Chicken Sandwich at the Fast Food Maven blog. 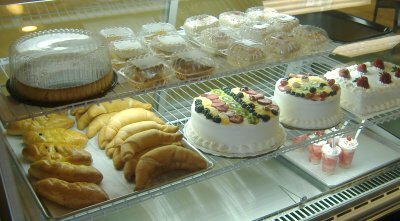 I had just eaten lunch elsewhere so I only picked up a couple pastries during this visit but I'll be back to sample their lunch items sometime. Click here to see the whole photo album (17 photos) at . Read Edwin Goei's (aka "ElmoMonster") review at Monster Munching or at the OC Weekly. Or go a little crazy and click on both links.